Click ‘Reload’ below and log in with your email and PIN. Student Café Accounts are managed using an AMDA Café Storecard. This is a digital card, similar to a Gift Card, stored on a phone or mobile device, that allows a student to quickly make purchases in the AMDA Café and Market. Students receive 5% cash back on purchases with their AMDA Café Storecard. Using the Storecard Manager, a student or parent can go online to add funds to the card, check their balance, rewards, and transactions. Once a student has made an initial purchase at the AMDA Café or Market using their Storecard, their Storecard number will be linked to their name, and they will be able to make Storecard purchases by either showing their digital StoreCard or StudentID. Claim your AMDA Cafe StoreCard by texting “AMDA” to 99899 on a text-enabled mobile phone. You will be issued a digital AMDA Storecard, automatically loaded with $5.00 to spend in the AMDA Café or Market. Press “Click here to log into StoreCard Manager” to register your card and create an account that will allow you check your balance, cash back rewards, reload your card and track your transactions. Be sure to record the email and PIN for your Storecard account. If a parent will be reloading your AMDA Café Storecard, you will need to provide them with your log-in information (email and PIN) so they can go online and reload your account with a debit or credit card. There is an option to auto-reload your card for a designated amount any time your card reaches Zero. Once you are registered on the Storecard site, click the top menu and select “Go Mobile.” This will provide you a digicard that you can save in your Apple Wallet or Passmarket App (Android). You’re all set! You now can use your AMDA Café Storecard in the AMDA Café and Market. To reload your card go to https://mps.bz/UserLogIn (or click the button on this page) and log in with your email and PIN. Once you’re logged in, click the RELOAD link at the top of the page to add funds to your Storecard Account. Note: Financial aid credit may be applied to a student’s Café Card by a request form submitted through the AMDA Student Accounts office. Storecard account funds can be refunded (less a $25 Administrative Fee) after a written request is received. Please use the contact email below for information about Café Account Refunds. Questions about Storecard? 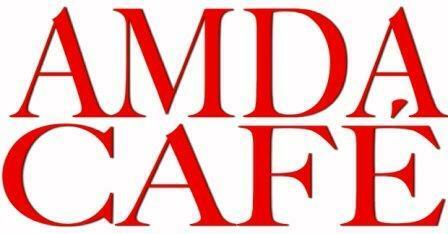 Email customerservice.amdacafe@gmail.com and we will respond quickly.